As extensive as this list of positive psychology books may be, it will never be ‘finished’ or ‘complete’. To make the list as valuable as possible, your contribution is not only greatly appreciated, but necessary. So in case you know of any positive psychology books that aren’t yet featured in the overview below, please add some by leaving a comment at the end of this page. These are our top 10 recommended positive psychology books. Some of these are for positive psychology newcomers and some are not, but they are all extremely valuable positive psychology resources. This book is only partially about positive psychology, as it is an attempt to merge ideas from both positive psychology and existential psychology. The idea behind this merging is to glean some idea of meaning from the teachings of both of these fields. This is a high concept exploration into positive (and existential) psychology that would best serve people who are interested in both positive psychology and philosophical perspectives and certainly does not function as an introduction to positive psychology. That said, it is probably the best option on this list for philosophically-minded fans of positive psychology. 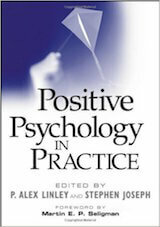 This book is less of a prescriptive volume and more of a descriptive introduction to positive psychology. Anyone who wants to know what positive psychology is all about will find this to be a helpful introduction to the field. Furthermore, it presents ways that the reader can start using positive psychology to better their lives. This book is a great option for anyone in search of not only an overview of positive psychology but actionable steps they can take in their lives. We recommend this book for absolute beginners because it describes positive psychology as it is rather than attempting to influence future research directions, so it is an excellent way to just learn about the field. This book is not so much a complete introduction to positive psychology as it is a deep dive into a state of consciousness the author has dubbed “flow”. According to the author, flow is a state of focus that not only helps you with whatever you are working on but also helps you be happier with your work. Dr. Csikszentmihalyi is an expert in flow, and this book teaches the reader to use flow to their advantage in their everyday life. Anyone who wants to learn optimal concentration techniques can learn from this book and flow. This book, a reprint of a 1959 translation of the original 1946 edition, is about the author’s experiences in World War II concentration camps. 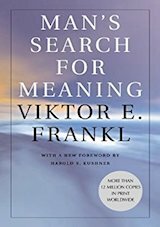 As the title suggests, Frankl (who was also a neurologist and psychiatrist) uses these experiences as a starting point for a discussion on the meaning of our existence. Frankl believes that the point of living is not to find pleasure, but to find meaning. Recommended by psychologists such as Carl Rogers, this work is a crucial entry in humanity’s quest for meaning. 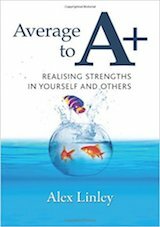 From the founder of the Center for Applied Positive Psychology (CAPP), this book is all about finding your strengths and making the most of them. From identifying your strengths as a worker to identifying your strengths as a parent, this book will teach you something new about yourself. 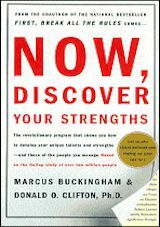 Whether you do not understand the point of strength finding in the first place or already know your strengths but need help figuring out how to use them to your benefit, this is the book for you. This book, originally published in 1962, is an expansion of some of Maslow’s earlier ideas, including his above-mentioned hierarchy of needs. The book focuses on some concepts which have since become fundamental to psychology, such as self-actualization, as well as concepts which are specifically important to positive psychology, such as well-being. 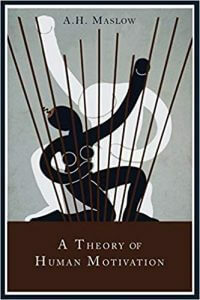 In the book, Maslow focuses on the conditions necessary for people to make the most of themselves, an idea which can be found in positive psychology today in the field of strength finding. This is another good option for people who like reading about positive psychological perspectives in pre-Seligman psychology. This book is intended to be used as a textbook in introductory courses concerned with positive psychology, though anyone interested in positive psychology from an academic perspective should find it helpful. Along with providing an overview of positive psychology research and some of the different aspects of life the field is interested in, the textbook also offers suggestions for further reading, listening and watching. This book is particularly well-suited for academic audiences. This book, partially authored by Martin Seligman, focuses on one aspect of positive psychology – character. The authors define character and the different traits which make it up and discuss how character is related to well-being. The authors believe that someone’s character can affect their levels of well-being, so character is part of the scope of positive psychology. This would be a good introduction to one aspect of positive psychology for people who are interested more in individuals than in society as a whole. 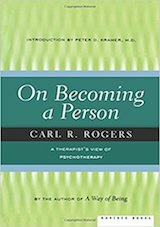 This book from Carl Rogers, one of the key figures in humanist psychology along with the above-mentioned Abraham Maslow, is a thoughtful discussion of psychotherapy as it stood in 1961. Rogers felt that, at the time, psychotherapy was becoming too focused on prescribing drugs as a “quick fix” and not focusing on the needs of the client. His client-centered therapy has since regained a lot of ground, but this is still an important read for positive psychology as it focuses on the importance of individuals and their needs, rather than simply treating mental disorders with pharmacological interventions. 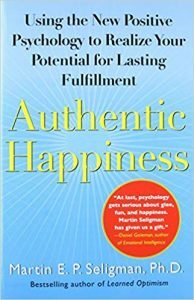 One of the seminal books on positive psychology, Seligman’s Authentic Happiness is a must-read for anyone looking to familiarize themselves with positive psychology. This is not a textbook aimed at academic audiences, but more of a handbook aimed at introducing people to positive psychology concepts that they can use to increase their own well-being. The book also includes an assessment that readers can use to find out their own strengths so they can increase their well-being in a personalized way. While it is not aimed at an academic audience, this book is an excellent introduction to positive psychology for anyone from the godfather of the field himself. These are the best introductions to positive psychology that we have found. Some of them are meant for academic audiences while some of them are written for more broad audiences, but they are all meant to be read by people who are not experts in positive psychology. Any of these books are a great way to introduce a friend or colleague to the field. Carr’s book is a comprehensive academic introduction to positive psychology, particularly well-suited for psychology students but valuable for any looking for a complete introduction to the field. As exhaustive as the book is, the author knows that no one volume will answer all your questions, so it even suggests further readings once you have finished it. This makes Carr’s book the clear choice for anyone who wants to learn about positive psychology from a scientific point of view, and for anyone who is looking for a book which can serve as a stepping stone into a greater search for positive psychology knowledge. While this book is written from an academic perspective, you do not need to know anything about positive psychology specifically to find it valuable. Since it also suggests further reading apart from itself, it can be a great guide into positive psychology for people who have no idea where to start. A revised and updated version of Compton’s introduction to positive psychology, this book aims to introduce positive psychology by relating it to existing schools of thought within medicine and psychology. Written by a clinical psychologist and a humanist psychologist who both have experience with positive psychology, the book discusses various aspects of the field such as the role of emotions and how positive psychology relates to religion and spirituality. This is a good option for anyone who wants a broad, worldly introduction to the field. 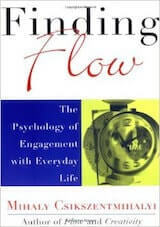 Our last book recommendation from Dr. Csikszentmihalyi does not focus on flow, and is not even written by him but rather edited by him (and Selega Csikszentmihalyi). This is because A Life Worth Living is a survey of positive psychology research as it stood in 2006. This is the best option for someone who is looking to familiarize themselves with positive psychology by looking at what positive psychologists choose to study and what they have found by doing so. Dr. Fredrickson’s book serves as a handbook meant to show you how to harness the power of positivity in your life. The author is an expert in positive psychology and particularly the positivity ratio, which claims that a certain ratio of positive to negative thoughts is one of the keys to well-being. This book is a great option for anyone interested in the positivity ratio, positive thinking, or just anyone looking for actionable ways positive psychology research can help them. This introduction to positive psychology comes in the form of a textbook which might as well be a complete introductory course on the field. The book starts by discussing the ten years of positive psychology research preceding it, serving as an excellent way for readers to get caught up on the field. The authors also include several interactive components, however, from essay prompts to exercises in reflection, which help solidify learning. The book is aimed at academic audiences but requires no previous knowledge of positive psychology, so it serves as an excellent, thorough, academic introduction to the field. This book serves as something of a manifesto for “second wave positive psychology”, a movement within positive psychology that aims to address negative feelings just as the “first wave” focused on positive feelings. The idea is that since positive psychology focuses on increasing the well-being of people independent of the presence of mental disorders, there needs to be a focus on dealing with negative thoughts. The book does not just establish this idea, but also goes on to introduce exercises that can help positive psychology programs start dealing with negative feelings as well as positive feelings. This book is a crucial read for anyone interested in the field of positive psychology, from practitioners to hobbyists, and especially for anyone who feels that the “first wave” of positive psychology did not focus enough on negative feelings. 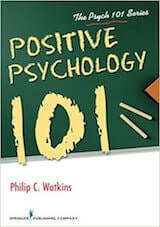 This book would not serve as a sufficient introduction to positive psychology by itself but could be an excellent aspect of an introductory positive psychology program. This is another introductory book that is more of a compilation of research than some of the other books on this list. This means it is a good option for people who want to understand positive psychology through the research being done in the field. 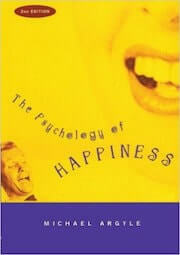 It should be noted, however, that the book documents the state of positive psychology as it was in 2002. The book comes recommended by Martin Seligman himself (as he wrote the foreword), though, so it is a good starting point for anyone looking to learn about positive psychology, even if its teachings are slightly dated. 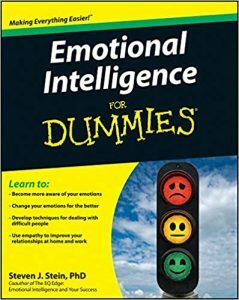 While the title indicates that this book is for dummies, its intended audience is actually quite broad. The authors discuss the history and origins of positive psychology, but also explains ways you can use positive psychology to benefit your own life. This book is a great option for anyone looking to learn about positive psychology so they can start using its teachings themselves. 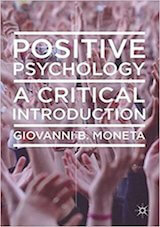 It is not aimed at an academic audience, so anyone can pick up this book and start learning about positive psychology. Aimed at academic audiences, this introductory book is another compilation of positive psychology research and writings. 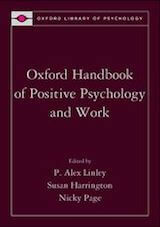 It covers the history of positive psychology and offers reasoning for its rise, along with presenting current research. The book also covers many different applications of positive psychology research, from workplace applications to teachings that can benefit anyone in their day-to-day life. 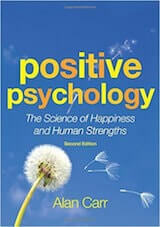 The book is slightly dated, however, so it would best serve as a supplementary introduction to positive psychology. 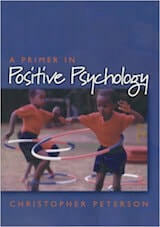 This textbook is intended to teach positive psychology to students in university-level courses. 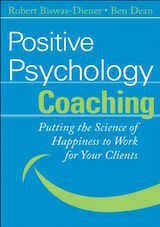 As the title implies, the book covers all the ways positive psychology teachings are being applied in the world today. Readers who are interested in positive psychology’s potential applications more than its theory might find this to be an enjoyable read. While it is meant for students, it would also be an excellent introduction for psychologists who are not familiar with positive psychology, as well as anyone who is looking for a more academic introduction to positive psychology. This book is another introduction to positive psychology that focuses on research, but is hyper-focused on the assessments used in positive psychology research. 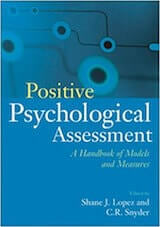 It examines the effectiveness of and justification for many different assessments used in positive psychology research and discusses how well they measure real-world variables. This book would be best for someone putting together a positive psychology experiment and looking for the best assessments to use. 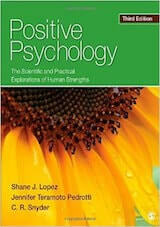 That said, anyone looking for a deep dive into the methods of positive psychology research should find this valuable. This book, called a “‘must have’ reference for anyone interested in the field of positive psychology” by Martin Seligman, is a thorough, academic treatment of the field. 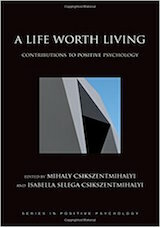 Over 100 psychology and positive psychology researchers contributed entries to this book, ranging from the basics of positive psychology to how it relates to the business world. This encyclopedia is an excellent way to start learning about all aspects of positive psychology, and people already familiar with the field will find it a helpful reference book to keep at an arm’s reach whenever they need to refresh their understanding. 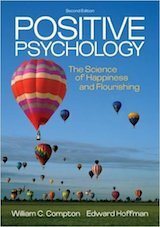 This book is a unique introduction to positive psychology because it focuses on the question of happiness and how it has historically been conceptualized. The book focuses on how different psychological movements have historically dealt with happiness, culminating in the field of positive psychology. The author explores and presents past and present research to examine how well positive psychology deals with happiness and how the field’s findings can apply to our lives. This is an excellent introduction for anyone in search of a historical, academic approach to positive psychology. 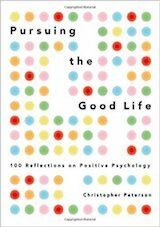 Our third entry in this section from Christopher Peterson is a lighthearted introduction to positive psychology that serves as an excellent non-academic introduction to the field. 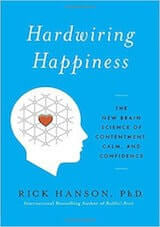 The author explores happiness through several real-world examples that you can digest a little at a time or all at once. By reading this book, the author hopes that you not only come away understanding happiness better, but that you also learn to find happiness in your own life just by knowing what to look for. This is an excellent choice for anyone who wants an easy, funny, non-academic (but well-informed) introduction to positive psychology. This is the seminal book on positive psychology, so it is an excellent introduction to the field for people who know absolutely nothing about it. In fact, since its publication, this is probably the book most read by people who want to start learning about positive psychology. This book serves as a sprawling compendium of positive psychology and attempts to touch on just about every aspect of the field. 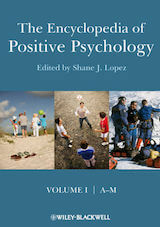 It contains 65 chapters dealing with positive psychology research, and attempts to relate the field to other branches of psychology by including clinical and developmental perspectives, among others. It can either serve as a complete introduction to positive psychology, or as a sort of Rosetta Stone for anyone looking to learn about positive psychology from the perspective of another psychological discipline. 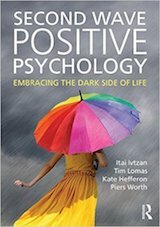 This introductory positive psychology textbook (from the same authors who edited the Oxford Handbook of Positive Psychology) is all about applying positive psychology in different contexts, from school to work to personal relationships. It discusses dozens of case studies involving positive psychology, so these applications are not just theoretical but based on reality. 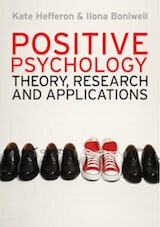 This book is an excellent choice for anyone looking for an academic discussion of positive psychology applications, or anyone who is in a position to apply positive psychology’s teachings in an institution. This book is meant to be a short but complete introduction to positive psychology suited for both college classes as well as casually-interested readers. 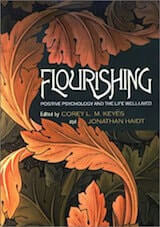 In it, the author presents a history of positive psychology and an overview of the field as it currently stands. Interestingly, the book also includes ways the reader can use positive psychology teachings in their own lives to increase their well-being. This is an excellent choice for anyone who wants to learn about positive psychology from an academic standpoint but also apply it to their lives. As the title implies, this book is meant to be an introduction to positive psychology for psychology students, but also anyone else who may be interested in the field. Since it is on the shorter side but also informed by recent research, we recommend it to anyone who wants to quickly learn a lot about positive psychology. 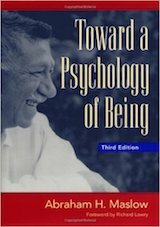 The books that follow range from the ’40s to the ’60s and can be considered classic works in the field of positive psychology, way before Seligman’s inauguration as president of the APA, when this field was “officially” born. This page would definitely be incomplete without the works of Frankl, Maslow, and Rogers who concerned themselves with many of the same questions as positive psychology researchers do nowadays. This book, originally published in 1943, is the article in which Maslow first introduced his hierarchy of needs. This hierarchy of needs posited that humans have several needs, from obvious ones such as safety to less-obvious ones such as self-esteem and feelings of belonging. The reason this book fits in with positive psychology specifically is that Maslow designed his hierarchy of needs based on people such as Albert Einstein, Eleanor Roosevelt, and Frederick Douglas, rather than focusing on people with mental illness. 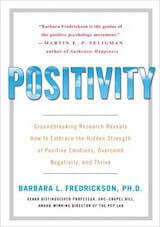 This extremely short read is an excellent addition to any personal positive psychology library because it is a great example of positive psychology from before the field had been defined. While there is a lot of overlap between positive psychology and the science of happiness, they are not exactly the same. The following books are our favorites that deal specifically with the science of happiness, and most of their teachings fit in easily with positive psychology. If positive psychology mostly interests you because of its dealings with the subject of happiness, these books are for you. 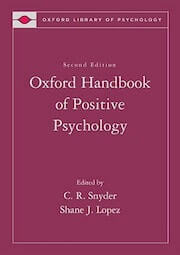 This is the updated edition of a textbook which came out before positive psychology had even been defined as a field. The book aims to be a comprehensive handbook to happiness, from how happiness is measured to how happiness can affect your life to different lifestyle aspects that can affect happiness. 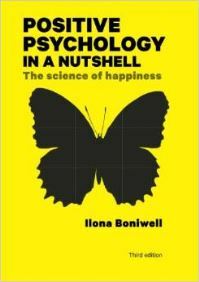 The authors do not only focus on psychology but also incorporate other academic disciplines, making this the definitive textbook when it comes to happiness. It is an excellent resource for anyone who wants to know about happiness from an academic standpoint, whether it is for research purposes or just for the sake of knowing about it. Contrasted with The Psychology of Happiness, this book is a non-textbook that is informed by positive psychology’s teachings. That said, it still aims to be a comprehensive handling of the subject of happiness, and Dr. Ben-Shahar hopes that anyone reading his book can use it to be happier themselves. This book is a good choice for anyone looking to use scientific findings to be happier but not necessarily looking for a strictly academic treatment of the subject. This reprint of the 1994 original is a fundamental work on self-esteem. The book discusses how self-esteem is an important psychological function, and why it is a prerequisite for healthy relationships and a healthy mindset. 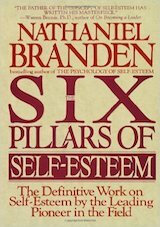 The “six pillars” mentioned in the title are six exercises that the author claims can help improve levels of self-esteem. This book is an important read for anyone who wants to understand the importance of self-esteem or anyone who wants to use the book to raise their own levels of self-esteem. It is also useful for teachers and parents, or anyone else who can affect the self-esteem of others with their actions. This book is an interesting e ntrant into the field of positive psychology, because it focuses as much on negative emotions as it does on positive emotions. The authors believe in using negative emotions to your advantage just as much as you use positive emotions to your advantage. This book will teach you how to harness your emotions, no matter what your level of experience with positive psychology is. This is the best option for people who want to learn just as much about negative emotions as they wish to learn about positive emotions. From one of the writers of The Upside of Your Dark Side and his father, this book is another focused look at happiness informed by decades of research. The goal of this book is not only to tell the reader about happiness but to lay down a path to happiness for the reader. It comes recommended by Martin Seligman (among others), who calls the authors “the Indiana Jones’ of positive psychology”. 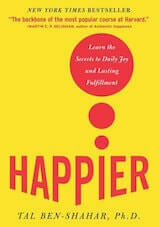 This is a good option for anyone looking to learn about happiness so that they can obtain it in their own lives. 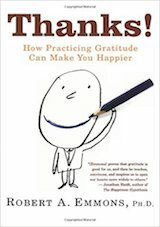 This book, from notable positive psychology and gratitude researcher Robert Emmons, is a discussion of gratitude and how we can all start practicing it more in our lives. Emmons uses a variety of disciplines, from peer-reviewed psychology to philosophy and theology, to provide evidence for his belief that expressing gratitude is a crucial aspect of a happy life. Along with discussing gratitude and the power of expressing it, Emmons also shows the reader how to begin practicing gratitude in their own lives. This is a great option for anyone who believes in the power of gratitude and wants to start expressing it more, or for anyone who wants to start learning about gratitude in the first place. 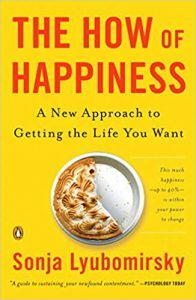 This book from a Harvard psychologist approaches the question of happiness with several real-world examples. The author examines how we think about the future, how we think about relationships and how we think about our own lives, to understand why we feel as happy or unhappy as we do. 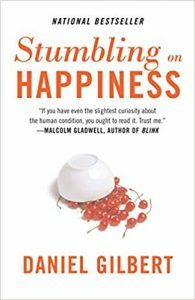 This is an excellent choice for anyone looking for an entertaining discussion on happiness, although I should note the author is certainly still informed by academic research. Part philosophical inquiry, part psychological discussion, this treatise on happiness aims to reconcile age-old intuition with proven modern research. The author takes a very systematic approach in this book, presenting one ancient idea at a time and seeing what parts of that idea science does and does not agree with. This book is a good choice for anyone who thinks we should try to learn from the past rather than abandon historical teachings, but also wants a foundation in modern epistemology. Anyone coming to the science of happiness from a philosophical background will probably enjoy this book more than the others listed here. This book is your antidote to your brain’s built-in negativity bias. In it, the author explains how you can train your brain to pay more attention to positive thoughts and emotions, which in turn will help you find more happiness in your life. It was written by a clinical psychologist and comes recommended by many mindfulness leaders, including Jack Kornfield, Sharon Salzberg, and Thich Nhat Hanh. This indicates that the book succeeds as an integration of Eastern and Western schools of thought. This book is a great option for anyone who feels like they dwell too much on negative things that happen to them, and is looking for more happiness in their lives. This book is unique on this list, as it is written by an economist rather than a psychologist. The author does make use of psychological teachings, however, to answer his main question, which is why people (and societies) do not necessarily become happier as they make more and more money. This book does not only set out to understand the factors that do actually lead to more happiness, but also serves as a manifesto for enacting the societal conditions which will lead to greater levels of happiness. This book is a clear choice for people who are just as interested in economics as they are in psychology. Like many books on this list, The How of Happiness attempts to understand what makes people happy. Unlike many of the books on this list, though, this also serves as a workbook to help the reader use happiness teachings to their advantage. The author’s goal is that anyone reading this book can use the teachings and activities to find happiness in their own lives. This book is another great choice for anyone looking for happiness teachings that they can easily apply to their own lives. 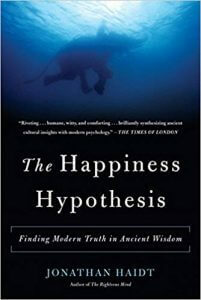 For this book, Lyubomirsky’s second entry on this list, the author approaches the question of happiness by taking on several myths surrounding the subject. As an example, the author presents research showing that people dissatisfied with their jobs were still unhappy after getting promoted or finding a new job in a more desirable city. 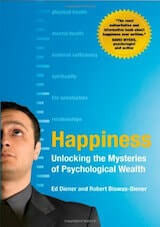 The book argues that it is not our circumstances that determine our happiness levels, but our mindset. 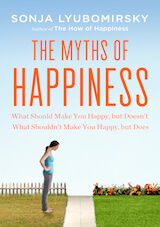 This book discusses similar myths about happiness and ways to not fall for these myths. This is a good option for anyone who wants to further their understanding of happiness and figure out how to find it in their own lives. This is another book that aims to lead people to happiness, but focuses on one path: giving. The authors believe (based on happiness research) that being a kind and giving person is an easy road to happiness and prosperity that anyone can follow. 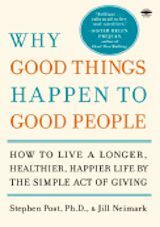 After convincing the reader of this, the authors offer up 10 different ways that the reader can start being a more giving person with the goal of having happiness come back around to them. It should also be noted that donating money to charity is not one of the 10 methods discussed by the authors, so these teachings can be applied by readers with all levels of wealth. 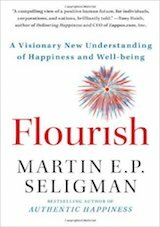 This book from Martin Seligman comes 10 years after his last book, and is an attempt by Seligman to further define well-being. He accomplishes this by introducing the idea of PERMA: Positive emotion, Engagement, Relationships, Meaning, and Accomplishment, five “pillars” of positive psychology. 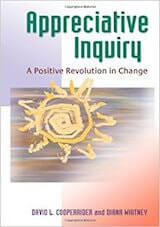 The 10 years of advancement in positive psychology applications that have happened since Seligman’s last book also inform this volume, as Seligman addresses how positive psychology is now being used in schools, workplaces, and other settings. Any book by Seligman is a must-read for anyone interested in positive psychology, and this is no exception. As positive psychology gains more widespread recognition, one of the most fertile grounds for its application is in the world of coaching and leadership. These are books which focus on positive leadership, that is, using psychological teachings to be a more effective leader and to get the most out of the people you are leading. Anyone who is a leader at work or in their community should find the following books helpful. The goal of this book is to teach you how to be the best leader you can be for yourself and for your employees. The authors combine teachings from the Gallup Leadership Institute with teachings from real-world leaders such as Bill Gates to deliver an easy-to-digest handbook on how to become an effective business leader based on your existing strengths. 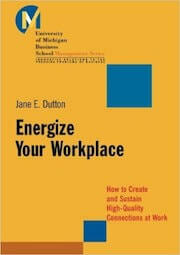 This book is a good option for any leader who wants to improve their skills and their overall organizational health. 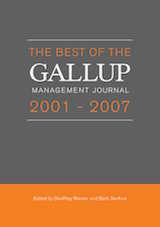 The Gallup Management Journal is a publication that focuses on helping leaders maximize their effectiveness, and this volume is a best-of compilation from its inception in 2001 to the book’s publication in 2007. From interviews with effective leaders to actionable steps the reader can take to improve their relationships with employees, this book has no shortage of useful ideas leaders can incorporate into their own management style. This book is a great choice for any leader or manager who wants to do better, no matter how much they already know. 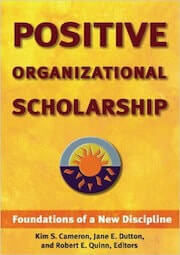 This book attempts to be the seminal work in a new field called Positive Organizational Scholarship (POS). The idea behind POS is simply to develop strategies which will lead to positive results for an organization and everyone in it. This book is a collection of essays which deal with POS, all from scholars who have seen the benefits of POS in action. Anyone looking to improve their organization in any way can learn from these essays, and the way they are broken up makes this a handy reference manual to reach for during any free periods or to digest all at once. The author’s goal in writing this book is to help the reader reach “positively deviant performance” – a level of performance way higher than average. Any business leader can find useful tips in this book, which presents four strategies for positive leadership as well as an assessment for the reader to gauge their own positive leadership skills. The author believes that by doing simple things such as encouraging compassion in their employees (and themselves), any leader can greatly improve their organization’s health and the happiness of everyone in that organization. 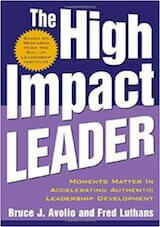 This is another book focused on improving leadership skills, but under the framework of Appreciative Inquiry (AI). AI is a “theory of collaborative change” that aims to restructure a leader’s relationship with their employees for the benefit of everyone involved. The movement has even been praised by Kofi Annan, the former Secretary General of the United Nations. Any leader looking to incorporate AI into their organization will find this short handbook to be an excellent starting point on the road to making themselves, their employees, and their customers happier and more satisfied. This book is another contribution to flow from the man who popularized the concept, but with a focus on business and work. Intended for all people involved in business from entry-level employees to CEOs, Dr. Csikszentmihalyi aims to apply his teachings to the world of 9-5. The author claims that work is one of the main pillars of daily life nowadays, so it is crucial that people use psychological concepts to make sure that it is fulfilling and brings you happiness. This book is an excellent option for anyone who’s main goal for learning about positive psychology is to apply it to their work life. We already included this book in the section for introductory books, but the author’s concept of flow can be such a revolutionary idea for leaders that we felt this book should be specifically recommended for leaders looking to use positive psychology in their organizations. 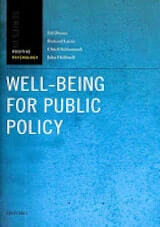 As indicated by the title, this book focuses on the idea of using well-being (as opposed to, say, economically-driven motivators) to shape public policy. The authors first discuss the importance of being able to measure subjective well-being, and different ways this can be done. They then go on to explain different ways these measurements of subjective well-being can and should be incorporated into public policy for the betterment of society. This book is more focused on society at large than organizations and their leaders, so it is better suited for anyone specifically involved with or interested in public policy. This public policy perspective also makes this book unique among the ones listed here. 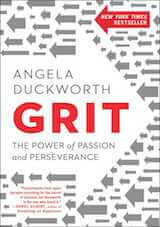 Like some of the others on this list, this book stresses the importance of positive work relationships. 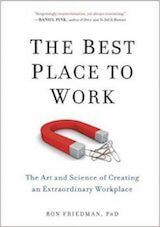 The author takes a unique approach, though, by specifically offering different ways that existing negative work relationships can be turned into positive work relationships. This book is especially well-suited for human resources leaders, and managers of all types (as well as employees) should find value in its pages. 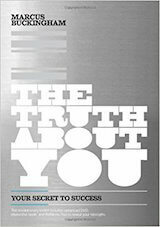 Anyone who feels that negative work relationships dominate their organization should turn to this book first and foremost. 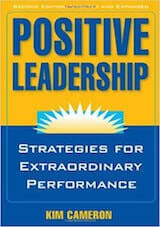 This book on positive leadership is almost two books in one package. The first part is a discussion of positive psychology research involving positive leadership, while the second part focuses on a story which involves some of the principles gleaned from the research described in the first part. 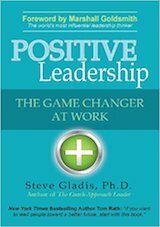 This dual approach to positive leadership makes for a unique book which will appeal to anyone who likes both academic discussions and narratives. Anyone who wants to learn about positive leadership and read about it in action should give this book a try. This is a leadership book which is absolutely informed by positive psychology, as both authors studied under Martin Seligman himself. On top of that, the foreword is written by Tom Rath, who has written multiple books that will appear later on this list. 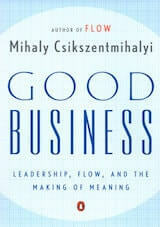 This means the book is just as informed by business teaching as it is by positive psychology teachings. In it, the authors will teach you several actionable ways to start being a more effective leader, whether it is by retooling your hiring process or re-configuring how you think about employee performance. This is a great option for any leader who wants proven ways to make their employees happier and more productive. This book is specifically informed by positive psychology teachings, which is not the case for all the books in this section. 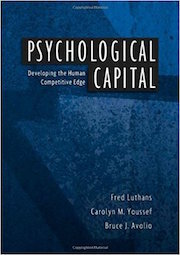 It is focused on the titular concept of psychological capital (PsyCap) – a measurement of psychological well-being in the workplace. The authors treat PsyCap like an academic concept, so they rigorously define it and any of the concepts that go along with it. PsyCap puts the most weight on confidence, hope, optimism, and resiliency, but also includes creativity, humor, and several other psychological traits. The idea behind this book is to help any organizational leaders measure PsyCap in their own group and then increase it as much as they can. 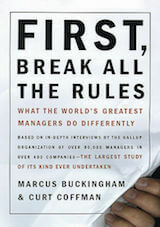 This book, the updated version of the 2009 bestseller, teaches positive leadership by focusing on positive influence. The authors describe how we influence the people around us whether or not we know it, and shows how you can lead by example and turn yourself into a positive influence. This book is an excellent resource for anyone who wants to become a more positive leader, regardless of how much they have read up on positive leadership, as it describes ways people can be negative influences without even knowing it or intending to. This section is similar to the above section dealing with positive leadership, but these books are specifically focused on the workplace. 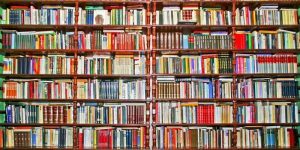 They are also not specifically geared towards leaders, so while a manager might find books from both sections to be helpful, an employee might prefer a book from this section. Many of these books can also just as easily be applied to a school environment or any other group-based institution. 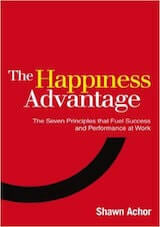 This book aims to re-imagine commonly held notions about success, such as the idea that success leads to happiness. Inspired by positive psychology teachings, the author has put together seven different principles (such as the idea of social investment) that the reader can easily apply to their school or work life for increased productivity and success. This book is a good choice for teacher or students, bosses or employees, or just anyone who wants to use psychology teachings to find more success. This book is mostly aimed at psychologists who want to incorporate positive psychology teachings into their own practice. The authors provide specific ideas, such as interventions, that professionals can easily work into their practice. This book is a good choice for psychologists who are already sold on positive psychology’s benefits, and are now looking for a way to make it work for their practice. It may also serve as a good way for psychologists from other disciplines to begin familiarizing themselves with positive psychology. 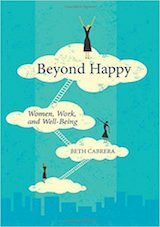 This book from Beth Cabrera, a leader in positive psychology and well-being research, aims to teach women how to use positive psychology to balance work and life so they can have higher levels of well-being. The author uses her experience with positive psychology as well as experience interviewing over a thousand working women to present a well-being guidebook for working women. From self-assessments to exercises women can start using in their daily lives, any working woman will find plenty of valuable information in this book, no matter how much they already know about positive psychology. This book is all about using the teachings of positive psychology for achievement and success. 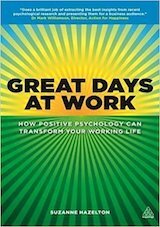 It is not necessarily written for a workplace setting, but it is so relevant to work and easily applicable to the workplace that we recommend it to anyone looking to use positive psychology in their work life. The author interviews people in several high-stress situations, from spelling bee participants to soldiers training for the military to football coaches to CEOs, and identifies the common traits and mindsets that make them all successful. Anyone looking to find career success (or any type of success, really) with the teachings of positive psychology should find value in this book. The author of this book believes that he can help you find increased success in school, at work, or any other area of your life. The main idea presented in this book is that having a “growth mindset” is more beneficial than having a “fixed mindset” – that is, believing that you can nurture your skills rather than being stuck with what you were born with. 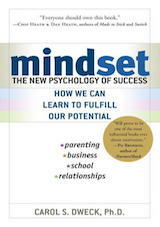 The book also describes the right kind of “growth mindset” as they believe that a “false growth mindset” can be just as detrimental as a “fixed mindset”. The author also believes that focusing on and retooling your mindset like this can help organizations along with individuals, making the intended audience of this book a wide range of people. This book is aimed at anyone who wants to improve their workplace, whether they are a manager or an employee. It is informed by a wide range of fields, from economics to psychology, and even sports. The author’s goal is to teach you how to be more productive at work, how to get along better with your coworkers, and more than anything how to improve your workplace experience. It is written in an entertaining style and uses both anecdotes and scientific evidence to back up its claims. This is a great option for anyone who wants to improve their workplace in any way and is not afraid of using teachings from a variety of sources to do so. This book is a collaboration between a behavioral scientist and a leadership guru, so it is as informed by positive psychology teachings as it is by business experience. As the title indicates, it is meant to be a handbook for the purposes of helping working mothers find a balance between the two worlds they have to live in. 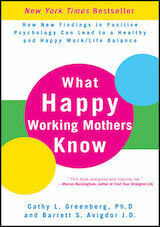 Along with being informed by positive psychology research, the book brings up several case studies involving working mothers and includes several exercises to help readers achieve work/life balance in their own lives. This is, of course, the best choice for someone interested in positive psychology at work who also happens to be a mother. This is another book on work that is informed by positive psychology, but it is also informed by behavioral psychology and economics. The author aims to show people how their mindset can affect their mood at work, and aims to show people how to change their mindset for the better. On top of that, the book also places heavy emphasis on the ideas of personal responsibility and vision. This book is not aimed at leaders or managers, but anyone who wants to start having a more positive relationship with their workplace. This book is a great option for anyone who wants a book informed by academic ideas that are not necessarily intended for an academic audience. 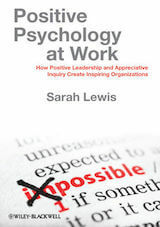 This book on positive psychology at work combines the teachings of positive psychology with the teachings of appreciative inquiry, a model that focuses on the types of questions an organization asks. By combining these two approaches, the book aims to be an invaluable resource for helping people improve their work situations. While it is informed by academic research, it is written in an accessible manner so an academic background is not a prerequisite for getting the most out of this book. 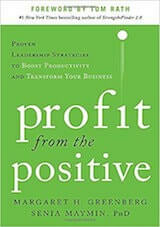 As the title indicates, this book aims to bring the teachings of positive psychology into the world of work. Over 50 practitioners and researchers contributed to this book, which aims to be a resource for anyone involved at work, from entry-level employees to human resources leaders to CEOs. 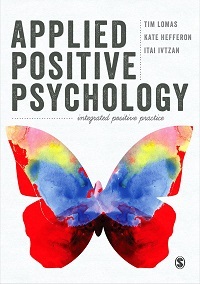 One of the editors is the director of the Centre for Applied Positive Psychology, and this book is an excellent resource for all the different ways positive psychology can be applied to a work setting. This is another book which aims to help people deal with the pressures of an increasingly work-based society. 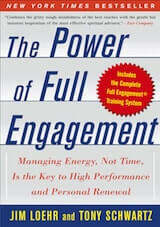 The main point in the book is that managing your energy, not managing your time, is the key to success. The authors introduce a program they compare with an athlete’s regimen, that partially consists of increasing your maximum energy capacity. This book is a great choice for anyone who feels that their main barrier to success is a lack of energy, or anyone who has tried and failed to use time management teachings in their lives. These are books which focus on strength finding. Rather than trying to “fix” your weaknesses, the authors of the following books instead believe you should focus on your strengths. Any of these books are a great option for people who are not sure what their strengths are, and are looking for new ways to thrive. This book is not so much an overview of positive psychology as it is a proposed mission statement for positive psychology. It was written when positive psychology was still a fledgling field and much less-established than it is today. That said, it is a must-read for anyone interested in positive psychology as a field, and it is of particular value for people who run actual positive psychology experiments and contribute to its body of knowledge. 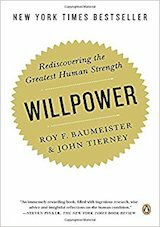 This book is all about willpower and self-control, which the authors claim is not only the most important trait a person can have, but also something of a lost art. In the book, the authors discuss the importance of willpower and present research backing up their claims, along with teaching the reader how to start exercising self-control for personal and financial success. This is an excellent read for anyone who considers themselves too impulsive and does not know how to stop being too impulsive. It is also an important read for anyone who feels that something is holding them back from being their best selves, but is not quite sure what, because it might be a matter of willpower and self-control. This book examines what makes different types of leaders so effective by going out into the real world and studying their strategies. From Fortune 500 leaders to small business managers, all sorts of leaders were interviewed for this book, making it an invaluable resource for anyone in charge of any number of employees. For an example, one of the ideas is that focusing on a potential employee’s talents is more effective than focusing on a potential employee’s experience. This book is a must-have for any leader who wants to be more effective. 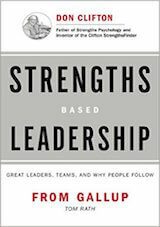 We already recommended this book for the section on positive leadership, but one of the main ideas in it involves finding an employee’s strengths and playing into those strengths. That makes this book a great recommendation for a book on strength finding. This book is another one that focuses on finding your strengths and specifically finding your talents. Based on a Gallup survey of millions of people who have found success in their careers, the book presents 34 different talents someone might have and shows how to turn the talent you have into individual and organizational success. This is a good option for anyone who likes personalized teachings, as first, you discover your own dominant talents and then figure out how to make them work for you. This is not just a book, but a six-week program that can help you find your strengths and start using them to your advantage. The book first has you gauge your strengths and how well you are playing into them, then provides you with a structured set of steps you can take to improve your success at work. This is an excellent option for people who prefer to not only learn about a subject, but have teachings delivered in a way that they can easily begin acting on. 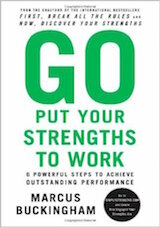 We already recommended this book for the workplace, but since the six-week program within revolves around (and begins with) finding and using your strengths, it also deserves to be recommended as a book on strength finding. This is another book from the author which focuses on identifying your main talents and then playing to them, but the program within is a multimedia experience. Once you buy the book, you also get a DVD that supplements its teachings as well as a memo pad that is meant to guide you in your journey. The author not only shows you how to find your main talents, but gives you exercises you can use to nurture those talents in your day-to-day life so that you can find school or work success. This is a good option for people who like multimedia experiences and want to learn more about themselves. This book is truly a quest, as the title claims it to be. The first thing the book has you do is take a 30-minute assessment which helps you identify your own personal top talents, and from there the authors teach you how to make the most of your talents. Packed with actionable steps you can take once you have discovered your talents, this book aims to help you find success in all aspects of your life, from school to work and even in your personal relationships. This book is an excellent choice for anyone who feels like they need to know themselves better. This was arguably the book that introduced strengths finding to the business world. In it, the authors introduce the idea of identifying people’s strengths and playing to them rather than working on their weaknesses. Readers might find many of this book’s teachings echoed by other books listed in this section. This is a good option for anyone who likes seminal, foundational texts, but other might prefer one of the other options on this list if they are looking for additional information in the form of assessments, videos, or updated knowledge. 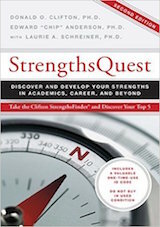 This is another strength finding book, but one that is entirely focused on school and students. The author’s goal in writing this book is to teach parents and teachers how to best identify and empower a child’s strengths, particularly focusing on “activity strengths”, “relationship strengths” and “learning strengths”. The author has implemented the program described within in her own classrooms, so readers can get an idea of how this school-based strength finding can work in the real world. 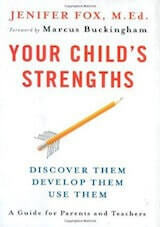 This is a great option for parents or teachers who are more focused on strength finding for school rather than work, as most of the other books in this section are more focused on work. This book, as the title suggests, is meant to teach you about strength finding and well-being through the medium of movies. The authors explain how to watch movies with a mindful eye, taking note of a character’s strengths and applying these lessons to our own lives. This updated edition includes sections specifically for children and families, as well as a discussion on how PERMA applies to watching movies mindfully. 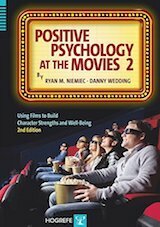 This is an excellent choice for anyone who wants to learn about positive psychology in a unique way, but it is a must-have for people who love watching movies and want to learn more about positive psychology. This book, partially authored by Martin Seligman, focuses on one aspect of positive psychology – character. The authors define character and the different traits which make it up, and discuss how character is related to well-being. The authors believe that someone’s character can affect their levels of well-being, so character is part of the scope of positive psychology. This would be a good introduction to one aspect of positive psychology for people who are interested more in individuals than society as a whole. 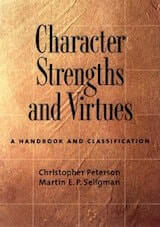 This is another book which focuses on finding your character strengths and using them to your advantage. 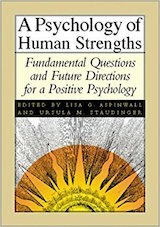 While the others on this list use the Strengths Finder assessment, however, this book focuses on the Values in Action strength finding assessment. 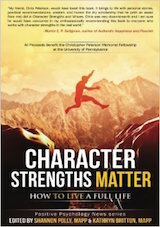 It is in part a primer on character strengths and in part a collection of essays relating to character strengths, but it is all focused on showing you how to use your strengths in new ways. This is a good option for someone who wants a different perspective on strength finding that is not based on Gallup’s assessment. This basis also means that this book can be paired with any of the Gallup-based books to cultivate a more complete knowledge of strength finding. This book introduces the new-and-improved version of Gallup’s original strengths finding assessment. It includes the assessment and several suggestions on how to best make your talents work for you, whatever your talents are. This is the best option for someone who likes doing things themselves, and who just wants to get at the meat of strengths findings and start applying it to their lives, rather than reading real-world applications of the program or justifications for the assessment. 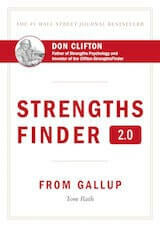 This book is something of a supplement to Gallup’s StrengthsFinder assessment, a tool intended to be used by organizational leaders to identify their own strengths and the strengths of the people they work with. The authors wrote this book to analyze the results of over three million people taking the assessment over nearly a decade. 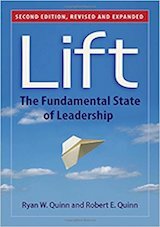 This book will give any leader the three keys to effective leadership, as well as other actionable ways to be a more effective leader based on others who have already found their strengths. 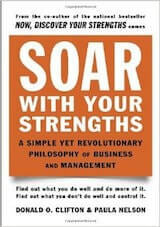 Any leader interested in strength finding will find this book to be an invaluable overview of the topic. 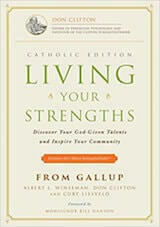 This strength finding book will also help the reader find their main talents, but focuses on applying those talents to the reader’s faith and church life. Written by the originator of strengths finding as well as two pastors, this book is just as inspired by psychological teachings as it is by religious teachings. This is the best option for anyone who is religious and wants to use strengths finding in their spiritual journey, rather than someone who is just looking to identify their top talents for work or school. These are books that fall under the umbrella term of positive psychology, but have also grown into separate academic disciplines such as Flow, Mindfulness, Meaning, Self-Determination Theory and Gratitude. There’s an almost infinite amount of books we could add to this list which is why we have chosen to add some of the seminal ones. Dr. Csikszentmihalyi’s second book on flow treads similar waters as his first, but in about half the length. This might be a better option for someone who wants to quickly learn about how flow can help them and apply these teachings to their lives rather than someone looking for a complete overview of the concept. 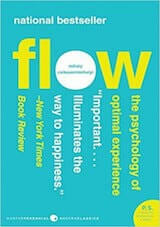 Of course, the author is still the leading expert on flow, so the teachings contained within are not in any way skimpy. This book, re-released for its tenth anniversary, is a fantastic introduction to mindfulness meditation from the man who has had perhaps the largest influence on introducing mindfulness to the West. The book is heavily focused on mindfulness meditation and why it is important, and in it, Kabat-Zinn describes several different ways one can practice mindfulness meditation. 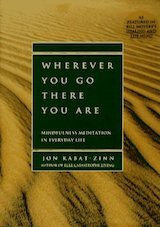 It is important to note that Kabat-Zinn considers mindfulness meditation to be a sort of workout for your brain, and does not necessarily consider it “spiritual”, so this book is accessible to anyone who wants to learn about mindfulness meditation, regardless of their feelings on religion and spirituality. 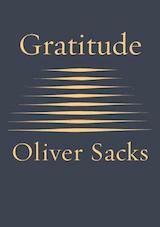 This book, published posthumously, is a collection of four essays on the subject of gratitude that Sacks wrote in his last year of life. The essays are specifically about being grateful for the lives we live, from the perspective of someone in the last days of their own life. These brief, non-academic meditations on gratitude can help all of us further understand gratitude from the perspective of one of the great psychological minds of the last century. Ryan, R.M., Deci, E.L. (2017). 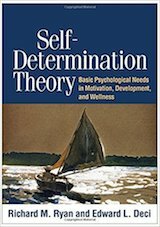 Self-Determination Theory: Basic Psychological Needs in Motivation, Development, and Wellness. The Guilford Press. This comprehensive book focuses on Self-Determination Theory (SDT), a theory on motivation that suggests that personal needs determine intrinsic motivation, such as the idea that needing to feel competent is a motivating factor. While SDT has been around for decades, this book further refines the theory by first discussing its history, then by going on to discuss the present and future of SDT. This book is a great option for anyone who is interested in the things that motivate us and how they relate to our personal needs and levels of well-being. Batthyany, A., Russo-Netzer, P. (Eds.). (2014). 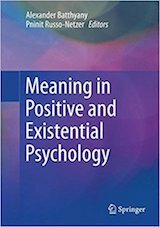 Meaning in Positive and Existential Psychology. Springer. Since publishing this post we have been inundated with recommendations. Some have already been added above, but for ease of reference, we list the remainder here. Also have a look at our list of best happiness books, best Emotional Intelligence books, and a few individual book reviews for more reading pleasure. 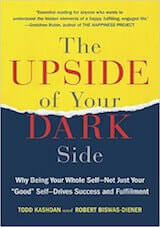 The upside of your dark side: Why being your whole self–not just your “good” self–drives success and fulfillment. Kashdan, T. & Biswas-Diener, R. (2014). New York: Hudson Street Press. Pollyanna’s Revenge: How Memory and Emotion Foster Happiness. by W. Richard Walker, Cory Scherer, & Jessica Hartnett. Published by Kendall Hunt. Well-Being and Cultures: Perpsectives from Positive Psychology. Knoop, H. H., & Fave, A. D. (Eds.). (2013). Dordrect: Springer. 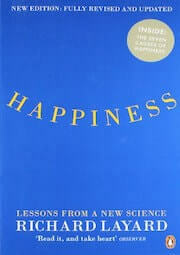 The world book of happiness – Bormans, L. (2010). Geluk. Thank you! for the list of books, which is really helpful for me to know much about positive psychology.